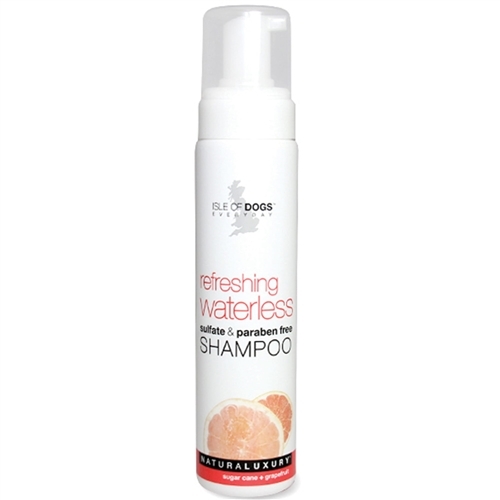 ISLE OF DOGS Refreshing Waterless is an efficient, water-less shampoo for all breeds that cleans and reinvigorates. Great for in between baths and cleaning up after being outside. Works wonders for removing grass stains from light and white colored coats. A less stressful option for older dogs or dogs that do not enjoy bathing. 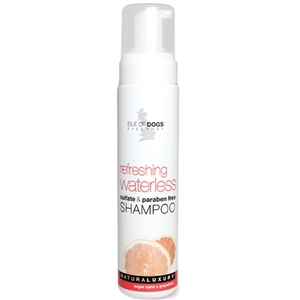 This shampoo is sulfate and paraben free and unlike other shampoos, it does not need to be rinsed out of the coat.